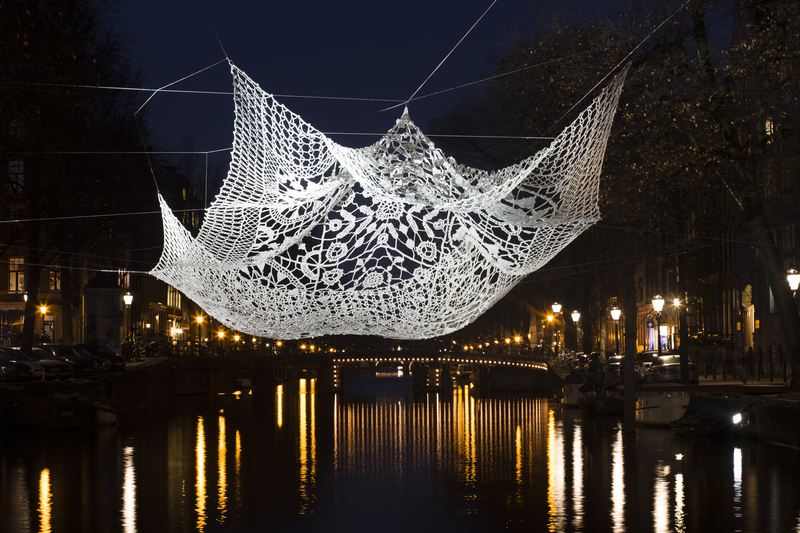 The Lace (2016) by Choi+Shine Architects exists out of 18 manually woven panels that are made out of 33.000 meters of light reflecting thread. 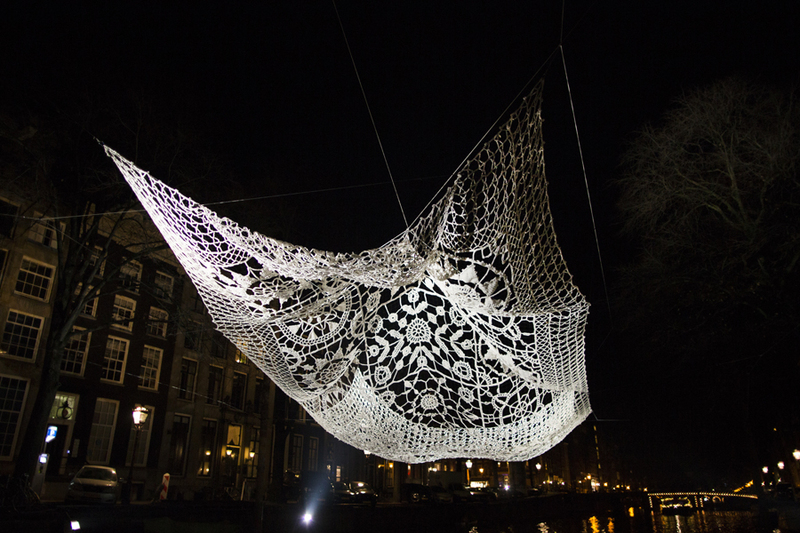 The impressive artwork symbolizes the interconnectedness of different cultures come together.The Lace depicts a traditional Dutch Lace cap shaped by Korean handfolding techniques. Choi + Shine Architects is an international awarded design studio founded by Jin Choi and Thomas Shine. Choi and Shine both graduated in architecture at Yale University, where Shine taught as well. The architect bureau has a studio especially in innovation, experimental design and projects that do not necessarily have an architectural nature. 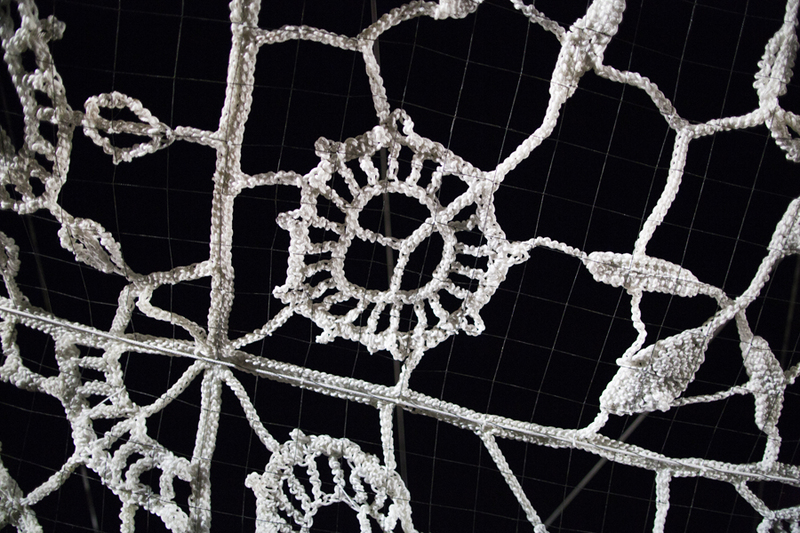 Their work is shown in museums and galleries all over the world. The work they are most known for is ‘The Land of Giants’, two gigantic transmission towers in the shape of humans that are being built in Iceland in 2017.